Today after waking up I told myself that it is time to do something else than lying in bed. 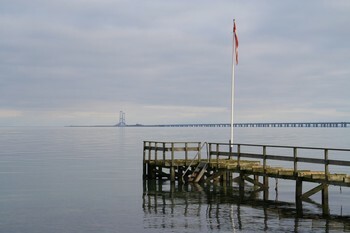 That lead to an idea, go to visit the city of Nyborg. It is very close, approximately 15 minutes by train. When I arrived there, I headed towards the beach. 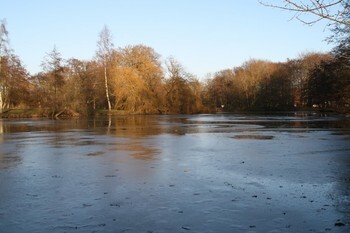 The weather was very nice today, the temperature was around zero and sometimes I could see the Sun . After I enjoyed walking on the sandy beach, I went to the city centre. It is really small, just two or three shopping streets and a small castle. When I got tired of walking, I headed back to the train station. I was very lucky to catch the train. It had two minutes delay. Without that, I would have to wait another half and hour. The train brought me safely back to Odense. I think the trip was successful (and a really good idea ). Today I successfully passed my last exam this semester. I can enjoy peaceful holiday now . Or maybe not so peaceful, considering the amount of paperwork I should do as an Erasmus student. Hopefully I will not spend all the time in Danish administration system (as I usually do :D). This weekend I had nothing to do (except learning for exams of course), so I decided to travel to Roskilde and pay a visit to my friends there. I could not choose the better time to do so. 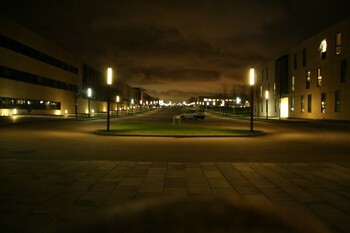 The semester is almost over and lot of people are going to leave and lot of goodbye parties take place. And Roskilde was not an exception . During my stay there I met a lot of old friends and also a lot of new people. The parties were really nice (and quite crazy :D), it was very relaxed weekend for me. But now the fun must go aside, because I should start to learn for my last exam on Thursday. Wish me luck. Today I had nothing to except learning so I decided to walk to the shop instead of riding a bike. It was an opportunity to test my Christmas present, a new camera. The weather is exceptional for Denmark (read „no rain“). 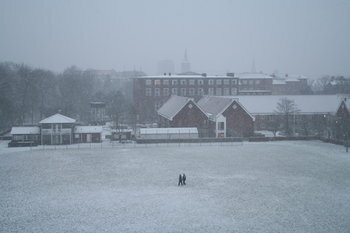 It is quite warm, every piece of snow has melted, so in the pictures you can see typical Danish winter. After spending marvelous Christmas with my family and „exhausting“ new year celebration I have to leave Ostrava and head back to Odense. My journey is starting tomorrow at 5.36 in the morning. I am taking my chances (or let's say, lottery) with Czech Railways. After my expected arrival to the airport I have got only 35 minutes to check-in. Please cross your fingers for me . The journey was more or less as expected. Czech Railways surprised with only 10 minutes delay and the Sky Europe flight was on time too. Only annoying thing was my suitcase. On my last flight home it was a little bit trashed in a way that I could not use the handle. Of course I found it out just before leaving my place. 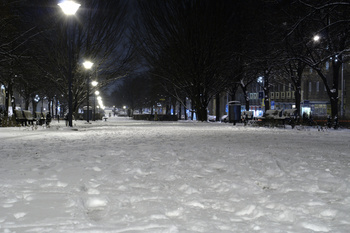 It was very „funny“ to drag it through the entire centre of Odense, especially during heavy snowing that is very unlikely here. The snowy football field and rooftops are nice to look at, but I hope it will melt till tomorrow, because I need to ride a bike to the shop .